Ice is an American 60 minute scripted crime television series, which kicked off on November 16, 2016, on Audience Network and is broadcast every Wednesday at 22:00. The show is currently in its 2nd season. Audience Network opted not to pick up Ice for Season 3. Ice officially canceled on Audience Network. Sign up to track down your favorite TV shows. 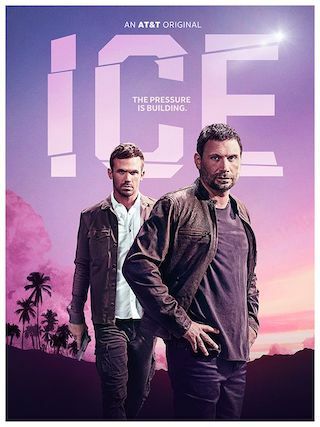 Ice is a high-impact, serialized crime drama that follows the Green family as they plunge into the underbelly of the Los Angeles diamond trade. Jake and Freddy are half-brothers brought together by their father Isaac, the patriarch behind G&G Diamonds, and their uncle Cam. After wild-card Freddy kills a prominent diamond dealer, his brother Jake must bail him out and save the family business from a crime lord of the Los Angeles Diamond trade. Jake must endure all of this while maneuvering amongst jewelry thugs, blood diamond deals, false certificates, the Feds, and Pieter Van De Bruin, a ruthless Afrikaner diamond merchant who now heads up an Antwerp-based diamond cartel.